Insulation | The Life and Times of a "Renaissance Ronin"
Insulating ISBUs for Fun and Profit… YOUR OWN! As the New Year (2011) starts to rear it’s ugly head, I have a few ISBU projects that are demanding a LOT of attention. So, I’m gonna reach into the mail bag and answers some email. RONIN, I love your website. I have just finished reading all of your archives and your book. Great stuff. I even followed your comments on ADVRIDER [Editors note: link deleted]. 1. Is there a way to be notified when someone post a comment to your blog? I have found that your answers to the comments are very insightful and straight to the point. Not at present. The format we’re using doesn’t incorporate user notification of new comments. The blog format is going to change sometime in the first Quarter of the new year (2011). 2. It seems like you have a few different websites dealing with ISBU. Can you provide a list of them? 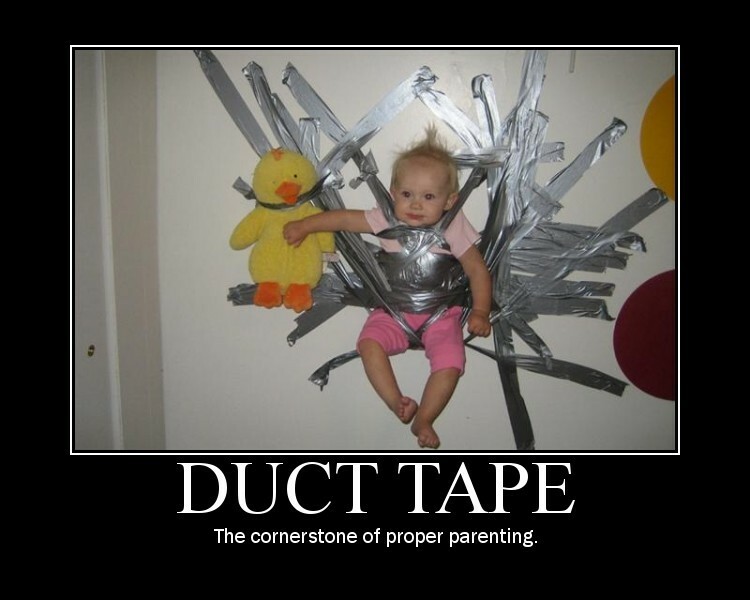 The other blog I contribute to regularly is “The Bubba Effect” – which is a “family survival” blog. 3. Previously you said that you can use furring strips and welded L brackets on the outside and then spray SPF and then attach your siding. However, if you use nails or screws to attach the siding isn’t that creating a thermal bridge where the screw goes through the siding, spf and furring strip? Is it okay because the bridge created by the screws are so small? Note first that each location and climate demands a offtimes different solution. I said “Angle Iron” – NOT “L Brackets” Those are two entirely different animals. 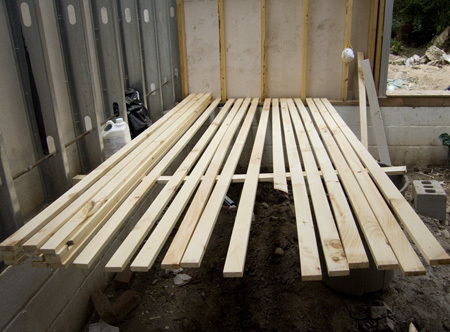 It’s true that the dimensional lumber you use in conjunction with SPF (complete with mechanical fasteners – nails/screws) will create some thermal bridging. It is “minimal” but it will indeed create a “thermal bridge”. It WILL be measurable. In temperate climates like Los Angeles, it’s not really an OMG issue. In places like Montana and Wyoming (or even worse…) it can be a “major league” big deal. A work around is to actually apply your SPF or Rigid Foam (PolyIso) to the container and then embed or attach 2x4s (24″OC) into (or on top of) that insulation base to create both an air-space and a thermal break. Then use fasteners (I like screws as they don’t come loose in heavy weather) to attach your siding into those 2x4s. This will also help your siding “breathe”, keeping it dryer. 4. Based on comments regarding how inexpensive Rigid Polyiso Foam Board is couldn’t I use it on the outside and then apply Tyvek House wrap to prevent air and moisture infiltration? Trey goes on to say: Of course, I would do more research than simply buying from the first website I come across, but wouldn’t using foam board and tyvek house wrap be an effective and inexpensive alternative assuming that you properly seal the tyvek wrap with the appropriate tape? And if you can find an insulation liquidator (you can find them regionally) with sufficient inventory you can get a really good deal on rigid insulation boards and save yourself the “headaches” that come with SPF application altogether. You CAN commonly find “Rigid Foam (PolyIso) Seconds” that are VERY affordable. In fact, it’s the direction I send many families that supplement SPF with rigid to build up R-Values affordably. The seconds are usually just panels with creases in the foil or chips in the sides or corners. Most are extremely usable. Note also that this is NEW product, not stuff scavenged out of a dumpster on a build site. Rigid PolyIso is essentially closed-cell foam. So, you’ll still get the vapor and moisture a barrier benefits as well as the r7.5 value you seek. However, you’ll have to seal all the joints in between each board. I also shoot some SPF into the gaps, just to make sure everything is tight. Using Rigid Foam boards is more time consuming… but if you got the rigid foam cheap, it’s definitely worth it. It’s easy to handle, easy to apply and it’s almost “idiot-proof”. If you insulate in this manner, MOST (YMMV) building inspectors will still insist on housewrap being applied over the foam. I constantly hear from building families (where zoning actually applies in the first place) that the yardstick they’re being bludgeoned with is based on the 2003 International Building Code. 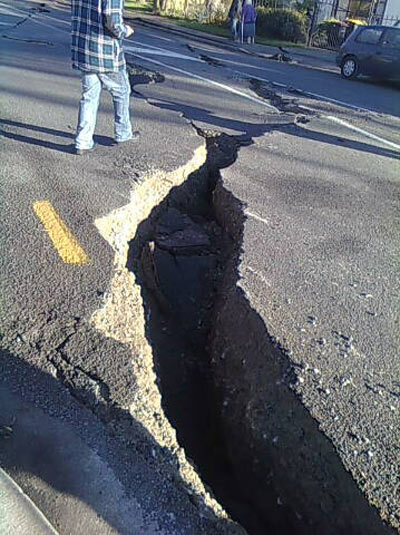 It specifies asphalt-saturated felt that weighs at least 14 pounds per square and complies with ASTM D226. Note and understand that most unrated No. 15 felt paper sold at lumberyards (which are actually confusing as they weigh closer to 7 pounds per square) do not meet this requirement. It should also be noted that some contractors will try to use this same 15 pound felt if they think they can get away with it. It’s a no-no! Nearly all the plastic housewraps (Tyvex, Typar, etc…) have been submitted to the model code authorities and accepted as substitutes for ASTM rated No. 15 building paper. You’re gonna have lots of options. Builders will be required to either install a “vapor-permeable housewrap” on the exterior or seal all the penetrations in the building by using some combination of polyethylene, caulks, and gaskets on the interior. Yes. You will. 5. I live in San Antonio and we have some pretty bad soil here. Just about everyone uses slab foundation here. But… in some cases, it’s just not practical. If set on slabs (our current ISBU-based Multimedia project outside Houston is a good example) care must be taken to engineer the slabs effectively. Your engineer will carefully define what you require. 6. I have seen you say that you can build an ISBU home for as low as $28 sqft, but your average is around $40 to $50 sqft (If I am wrong on the numbers, please forgive) . Trey continues: However, I have also hear you say that this does not include the land (obviously) and foundation. Does this number leave other costs out as well? I am just trying to get an idea of the different costs involved. Many of my families are building structures based on ISBUs for right around $50 a square foot if they are both REALISTIC and CAREFUL. Inflation bites everywhere and that cost is rising. Note that this is for “structure” and doesn’t include land costs, the foundation, appliances, HVAC, or “tweeks”. I’ve seen builds run as low as $25 a foot, but we’re talking about constructing “structural shells”. More will be spent to make them actually livable. Realistically, I advise families seeking to build “spartan ISBU homes” to think about construction numbers that range between $50 and $75 a square foot, just to be safe. 7. What does your typical family pay for foundations? I understand there are a lot of variables involved. I just wanted a ballpark figure. You’re kidding, right? 😉 That’s far too general a question to answer accurately. P.S. You should really put some more ads on your website I wouldn’t mind clicking on a few ads to help you out. I’m trying to keep the site ad-free. Honest. I was going to bring you up to speed on another really terrific ISBU project I’m involved in, but TED… Well, we all know how TED is. He’ll whine and cajole and then ask you so many questions that you end up writing an entire post about them. Happy….uh, Merry….Crap, forget it! Back to work! So reading and catching up has my questioner going again. Time to ask da man. Psst, thats YOU Alex. Yeesh. When starting at phase line alpha, Ronin insists on sandblasting and floor removal. Stop me when I’m wrong, ok? No, not YET…I’m just starting! Crimony! I suppose my first question would be which would you say would last longer and require the least long term maintenance. Painted exposed ISBU walls or some form of siding? Say for argument purposes Hardi-panel t-111 looking fiber cement board (primed and painted of course). Now hoping your gonna say the Corton siding wins hands down I venture behind the curtain to ask Mr Wizard an idea he normally cringes at.Inside insulation.Feeling somewhat safe since you didn’t eat “Cold in Wyoming” as a snack I will venture this question and hope for similar fortune. First, YES! I do understand that insulating inside eats space like a fat kid in the doughnut shop. Si’! Da! So….Now I’m confused…ur, more confused. If the outside of the ISBU is more durable, weather and disaster resistant than its more traditional counterparts how do we take advantage of that if we insulate/add siding to the exterior? Yes, I’m looking for the cake and eating it too.So to that end here is my thought. suppose my reasoning is sorta that maybe by maintaining the containers integrity as much as possible and minimizing the stick framing required that it would maxamize the atributes of the container? Not having to repaint faded siding or replace siding that was damaged via say fire or high wind seems a good idea, right? And since its just me, huge space is not really needed. Not saying I have any desire to build a tiny home or hobbit dwelling but maybe something reasonable. So in your opinion and knowing that some loss in interior space would be acceptable, which makes more sense…inside or outside insulation? Which would you say costs more to do? Pour pilings and embed steel in them to weld containers to. WITH A TRACTOR AND A FORKLIFT, TED! WHAT ARE YOU, NUTS? Now. start thinking about places you’ll actually BE. Now where was I? Oh yeah… Ted… again… Oy. Anti-fouling paint. You need to render it harmless in places where you’ll come into contact with it. That means sandblasting. And after you get all that crap sandblasted off (Oh my… the fun you will have… oy!) you need to carefully inspect your containers for cracked welds, or other imperfections that can now be easily fixed. You want to sandblast all the lips areas of your containers too, on the inside AND outside. It’s an easy way to check for cracks and defects and this way you don’t have to fight the floor to do it. Well, because a smart camper welds angle iron onto the side rails to carry his floor decks and SIPs roof panels, that’s why. You really want to breathe that anti-fouling paint while you try to weld to it? Really? You can also get under the boxes to apply SPF to the bottom of them, if you want to. Once you’ve made your repairs (remember that mild steel and Corten steel aren’t good neighbors so choose your materials carefully) it’s time to cover that metal back up. Save yourself some time and trouble and use a material called RUSTGRIP. It’s the only coating/paint/concoction that is made by SPI (the rascals that make Supertherm) that I use often. AFTER you sandblast all the crap off (including the heavily leaded paint that you’d never want your kids or the elderly to be around…) you (at the very least) Rust-Grip them. Rust-Grip is a one-part polyurethane coating that combines with atmospheric moisture to cure. Upon curing, RUSTGRIP provides corrosion protection. Fast Working – Rust Grip® begins its cure cycle within an hour, penetrating and swelling to seal surface pores. Versatile – Rust Grip® protects steel, aluminum, concrete, wood, fiberglass, and lead-based paints. It is excellent for minimally prepared surfaces. Class A Fire Coating – In case of fire, Rust Grip® will help to prevent spread of, and will not contribute to, the burn. Strong and Lasting – Rust Grip® has a 10+ year lifespan on substrates under normal conditions and strengthens surfaces to 6780 psi (473 bar). While you can shoot it on, most people roll it on. Apply two coats. Wait about three hours between coats. Voila. Instant encapsulation and protection. It’ll fully cure in about a week to ten days. Wait about a week first. We found it works best if the stuff starts to fully cure before you coat it with something besides profanity. And yes… there ARE other materials that will do this “seal and encapsulate” process. Rustgrip is just easy to find and it works right out of the can. Why change horses if you have a good one already? All you’re doing is creating a primed and encapsulated surface area, just waiting for whatever you’ll do next. You now have containers ready for the next step. Deck between your boxes, and create your floorspace. Close it in by building your framed walls fore and aft. Create your rough opening for glazing and doors… TED. 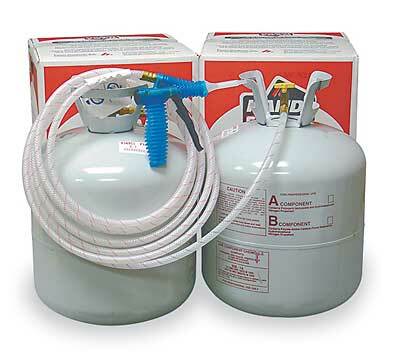 NOW frame your wall cavities for your SPF and insulation. WHAT? “SPF AND insulation?” What the he-double-L am I talking about? Shut up, TED. Keep reading. The best thing in the world about SPF is that it does three or four jobs with one application. You get a vapor barrier. You get a moisture barrier. You get great r-values out of it. AND… you get some rack and shear” help, too. You get a big bill from the guy you bought the SPF from. It’s more expensive. Sure, it does more (and in my opinion it’s worth it) but it’s gonna cost you. I have it on good authority that he counts pennies. In fact, he counts them so often that even the old ones are all shiny again from all the handling. Okay… SPF is cool, cool, cool. But it costs more. So… why not use the SPF (say about an inch of it) to actually coat the inside and even the floors (even the ones that you decked into your boxes). YES… TED. I realize that will only give you an r7. But what if I follow that up with a cheaper insulation product, like rigid polyiso foam? Slabbed up and stuffed into the cavities (or floor cavities) on top of that SPF, you’re gonna get about r5.6 an inch. And, it’s WAY cheaper. You can even find if for free on FreeCycle and CraigsList. You just gotta go get it and haul it off. In a 2×6 framed wall, you get about 5″ of cavity to stuff with “toasty goodness”. So, you can easily accomplish R values in the range of r28 (or even a bit more) depending on what PolyIso board you use. Note that this works with 2×4 framed walls too. You have just over 3″ to work with, right? You’ll achieve R values of about R18, easy. Is R18 enough for Los Angeles? Yep. But is it enough for Colorado or Wyoming? NOPE. In TEDs case, he should just leave it alone. That anti-fouling paint covering up those Corten Steel panels is gonna last a long time. First, it’s OUTSIDE. It’s not gonna hurt him. It’ll offgas into the air. And he’s already like… um… braindead. SO I doubt it will hurt him. Yes, TED. The Corten Steel walls will oxidize. It’s part of their charm. In fact, I spray them with a baking soda concoction I created that will age them to a cool “camo-ish…color” that will blend the boxes into the treeline hue. And NO! You can’t just shoot latex over “Anti-fouling paint”. It will bubble and blister like mad. So, why cause more work for yourself. I mean, it’s not like TED is gonna have any neighbors. Have you listened to TED? “I’m that nut who lives in the cargo containers down the road…” vibe. Note: No peanuts or vacuum cleaner salesmen were harmed in the writing of this post. People tell me that they can’t afford to pay for closed-cell SPF foam insulation. They say that they can do the same thing by simply using fiberglass. I regularly apply SPF to provide at LEAST an r19 on the exterior walls of a container. That’s about a depth of 2.75 inches of foam. SPF will get you an r7 per inch. So, in less than three inches, we get our r19 all day long. It doesn’t decay or degrade over time. It doesn’t absorb water and turn into useless mush. Shoot it on and forget about it… forever. But the naysayers frame out the inside of their containers using 2×6 construction (to create really “deep” cavities) and then they stuff that nasty pink stuff into it. What have they accomplished, besides taking up valuable square footage INSIDE? 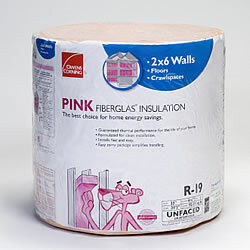 r19 fiberglass batts for 2×6 walls, manufactured by Owens Corning require a 6 and 1/4 inch space to install it correctly. Um… How wide is a 2×6? It’s certainly NOT 6″. Not hardly. Last time I checked, a 2″x6″ board measured 1-1/2″ x 5-1/2″. So, you’re gonna come up short. Now how much space did you need again? You’ll actually end up with r17-r18 (maybe!). Industry experts will tell you it’s actually more like r15-16. And that’s IF the run has no openings like doors or windows, and you’ve been careful to prevent thermal bridging. The typical wall, built in this fashion yields about an r14-15, tops… IF you are lucky. r19 insulation almost NEVER creates a r19 wall. Not by a large margin. Why? Because it’s very seldom installed CORRECTLY. Thermal bridging of studs, doublers, fire blocks, sills, and headers bleeds r-value away like an open wound. And the presence of windows, plumbing, wiring, etc. all contribute to diminishing that desired result even further. Readers of this blog know that this week, I started a series of posts on ISBU insulation. It’s the hardest part of ISBU construction, to hear people tell it. Who tells it that way? Okay, okay, maybe it’s not that bad… 🙂 but from the email I get, you wouldn’t believe the things that are happening out there. As I wrote the first post, I knew in my gut that I was going to immediately get hammered by readers. And, I was right. By Monday night, I had 27 emails in my Inbox, all asking for “insulation help”. I’ve found that using reader mail to address ISBU issues has been pretty productive, so I’m going to take one of the letters I got and share it with all of you, so you can see how this works. Brad’s mission is to build a (2) container ISBU home, using a pair of 40′ High Cube containers as the shell. He’s going to do this in the Houston area of Texas. When you read his letter, you’ll see just how much thought he’s put into this and you can see that he’s intent on achieving his goals. Let’s see if we can help him. Thanks for your response about insulation. Since I’m new to your site I suppose I missed previous comments about the subject. (Editors note: READ the ARCHIVES!) 🙂 I appreciate the input and above all your belief that this is not rocket-science and can be done inexpensively. Just yesterday I was looking into closed-cell foam and rigid board as options and then recieved your email backing up that idea. I want to insulate the exterior. Have you seen furring strips attached, then foam sprayed between strips and then siding attached to the furing strips. My question here is how to attach furring strips to the metal container without penetrating the metal wall. The interior wall I would like to remain corrugated metal and just paint, as it is. How difficult is the metal to penetrate with screws and drills suited for the job? You asked about my particular design so I’ll describe it for you. (I have a degree in architecture, btw, and practiced residential + hospitality design 25 years.) The shell is simply 2-40ft high cubes (9’6″high) with the 40 sides of each unit joined side by side to form a rectangle (16×40). Currently I have two-8′ sliding glass doors joined and centered on the front 40′ wall. Then within each of the 4 corners (left to right) is kitchen, office, bath/closet/storage and bedroom. The plan is open with no doors but with 21 LF of interior partion (most of this partition forming closet and closing off bath area). 2 windows, one kitchen + one office. The 2 doors at the end of each container would be in the bath (shower/toilet) area and bedroom area. If money held up (did I mention 30-50k max) I would intall sliding glass doors just within clearance inside of the container metal doors. Allowing what you have already seen done before, the metal doors opened and exposing the sliding glass door for light and air. Basically the center area of the 2 units joined would be the living/work/open area. This area is currently 15’8″ x 12’8″ which flows without walls into ajoining spaces excluding the bath/storage area which is entered around the corner partition from the bedroom space. Confused? More than you wanted right? So the plan is 640 sq.ft. with about 950 sq.ft. of exterior wall to insulate. I want a roof garden to do the insulating on the top of the units. A feature in Dwell mag had a unit in San Antonio with a beautiful roof garden. Do you know if 12″+ of soil will insulate the roof? The Ford motor plant in Detroit uses a green roof for cooling and a variety of sedum grows there. Sorry for the rambling I just had coffee. thanks for your help, Ronin. First, welcome to the fray. Second, start hitting the archives. There’s a ton of stuff in there. And, that insulation of choice is SPF, every time. How do you attach the insulation and the siding to an ISBU, to form your finished exterior? The idea of drilling and then attaching fasteners, hence puncturing the sanctity of that weather resistant Corten Steel shell is crazy! Your furring strips are made of WOOD, right? How do you attach wood to metal? You can use fasteners, and make a mess of that waterproof box, or you can use construction adhesive to glue your furring strips into place. Sounds crazy, right? I just fab a long steel “L” out of lightweight sheet steel (think gutter or flashing), that runs along the top and bottom of the container. Using light enough steel, you can literally do this using a “brake” made out of dimensional lumber. Seriously. Just weld it into place, like a bizarre flashing. Top faces down, bottom faces up. Are you seeing it? Now cut your furring strips to length so that they fit inside that “tray” up against the container corrugation. That added metal lip is just going to help hold everything in place. Apply glue to the furring strip, and then stick it where it needs to be located. The “siding flashing” will help hold it in place. Once your furring strips are “glued” into position, drill your holes and run a fastener (screw) into each furring strip thru the flashing and into the furring strip. Congrats! Your furring is now “glued and screwed”… with “ZERO Penetration” to the box. NOW… insulate using SPF. SPF applied between the furring strips is going to glue the entire thing together in one huge monolithic mass. Think about this. The foam is going to expand to fill the cavity between the furring strips and the corrugated container, in effect gluing everything together. It’s what SPF does! The end result is going to be a vapor barrier, a moisture barrier, an insect retarder, insulation, and even some structural assistance to help your home deal with racking and shearing. Trust me, once the SPF sets up, that entire wall section isn’t going ANYWHERE. I’ve come back after the fact to add more containers (7 years later) and getting that “siding mass” off the house and out of the way was an ORDEAL. We inspected the removed panels for “insulation or furring strip failure”. Zip. Stuck like Chuck. Would your typical Planning and Zoning Nazi like this? Nope. They’ll have kittens. But, the insulation and siding that you install in this fashion will be a part of that house until the houses demise. Sounds simple, right? Too simple, maybe? Build a dummy panel in your garage, and then test it, if you don’t believe me. Try to pull it apart in 24-48 hours after the SPF has set up. You’ll see what I mean. First, how are you reinforcing your roof, to accommodate that “green roof” dirt load? And better still, what are you going to use as insulation, below it? The corrugated steel roofing isn’t going to support the weight of a realistic Green Roof. That roof isn’t even “structural” in the traditional sense. It’s simply there to keep water out of the cargo. 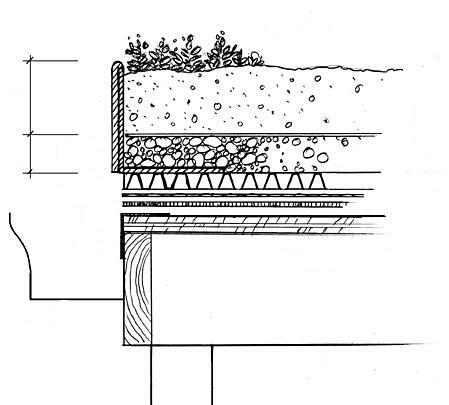 Any ideas about building “Green Roof Surfaces” has to include a structural support system. The R-value of dirt always varies greatly depending on its composition, and how high the moisture content is. A pile of dirt equals “thermal mass”, right? Big pile, big mass. But it gets tricky. “Thermal Mass” isn’t the same thing as “heat transfer resistance”. And, for those of us working in the biz, we figured out long ago that R-Value is just heat transfer resistance. A check of the material tables will show you that (typically) R-value for earth is R0.25 per inch. That means that the foot of dirt that you’re talking about isn’t going to go very far against the heat of Houston, Texas Summers. You’re gonna get about R3, tops. And… the “thermal coefficients” aren’t “bankable”, they are affected by several other factors, and the biggest killer is soil moisture content. Translation: Get soil really wet, and it’s worth about zilch as “insulation”. Really want that Green Roof? Start with SIPs (Structural Insulated Panels) to get both your insulation and your roof support. Then top with a waterproof membrane system. Once that is applied, you can go as green as you want, without fear of a roof failure from wet soil due to that Corten Steel’s longterm exposure to moisture. Third – I’ve sketched out your floorplan, from the notes you’ve left. If I’m understanding it correctly, have you considered putting the bath and kitchen close enough to each other to save some plumbing costs? Say, back to back? With the budget that you’re working with, every penny you save is going to count. What are you doing for a foundation? NOT an uninsulated slab, right? Readers here know that putting a container onto an uninsulated slab means that you’re just hemorrhaging energy directly into the ground. You’re insulating the bottom of the containers, right? A tight, super-insulated box is a happy box. I hope that I’ve given you some ideas, and some things to think about. “Living in a box” means “thinking OUT of the Box”. Some of the tasks that you’ll complete will be accomplished differently than in a “traditional” housing situation using conventional materials. But if you keep your wits about you, take your time, and exercise “care and caution”… soon, you’ll be living in a sturdy, affordable Corten Castle of your very own. My Thanks to Brad, for sharing his project with us. A 7.4 magnitude Earthquake struck just miles west of Christchurch, NZ at just after 4:35am this morning. Many who read this blog know that we have many, many friends, in New Zealand. Please know that our hearts and prayers are with you, as you begin to recover from the earthquake. If there is anything that we can do to assist you, know that you have but to ask. In the beginning, there was Corten Steel. He (or “She” – Hey, I’m “kinda” open-minded) who wielded that cosmic plasma cutter made clear that they were building a box so tough, that not even lesser gawds could harm it. And then, with a thunderclap that sounded exactly like the pop a torch makes when you put the igniter to it… ISBU Housing was born. It didn’t take long for old Jed and Martha to figure out something was amiss. As the sun came up to warm the earth, that box started them to sweatin like a kid dancing for a happy meal. And then, like a bumblebee hitting the windshield it struck them. And the need for insulation was born. We’re seeing ISBU homes depicted everywhere, nowadays. It’s not just the subject of the Sci-Fi Channel, it’s a topic that is raging on green cable networks globally. We’re told that they are piled to the sky, blocking out the sun. Mountains of glorious non-corrosive metal shaped like Lego’s. Big Steel Boxes that are cheap, strong, and “Tonka tough”. And the biggest single limitation to using a steel box as a home, is that it resembles the steel box you already have in your kitchen. If you apply heat to either of them, they become ovens. One of the problems to overcome when dealing with steel ISBU (Intermodal Steel Building Unit) shipping containers is insulation (or the lack theroef). You’re talking about a small-ish (308 square foot – approx) rectangular box that was designed to haul produced goods, and not designed to provide shelter to your tribe. Opponents of ISBU construction will tell you that the inside dimensions aren’t very big, and if you furr/fir (take your pick) it out so that you can insulate them, you’ve just made a small box even smaller. However… if you’re a smart person (and you really think it through) you figure out that the insulation actually goes on the OUTSIDE of the box. This has it’s drawbacks too, because now you can’t do that “Max Max – Armageddon Housing” thing that we’re all so fond of. C’mon – the fact that you know all that exposed corrugated goodness would give your neighbor an aneurysm is a part of the joy, isn’t it? I get asked about these %&$%#@!! “miracle coatings” at least twenty times a week. And therein lies the biggest problem. Everything I ever learned as a trained architect, or witnessed in 30 plus years tells me that there is no free lunch, and that these claims are impossible to achieve. People at SPI will tell you that R-Values, the standard measure of insulation are just fairy tale numbers that don’t mean anything. Hmmm… that runs contrary to everything that I’ve even been taught, and essentially tosses an entire principal of building and construction in the trash can. We’ve all seen the Youtube footage of Dave Cross (a builder who is now the head of SG Blocks.com and a guy that I consider an ” ISBU friend” of mine) handing Bob Vila a piece of Supertherm treated metal after he’d hit it with a blowtorch. Bob holds it with his bare fingers, amazed. Proves that Supertherm works. right? Peter DeMaria, another architect (whom I respect a great deal, but disagree with about this topic), built what has become the most photographed home in the history of ISBU housing, his Redondo Beach, CA house. This 3200 square foot home uses Supertherm as insulation. He’s sure it works, or he wouldn’t have used it. However, that house is in Southern California. not Southern Montana. Los Angeles stays above 60 degrees most of the year, day or night. Move that house to someplace where there is “harsher weather” and I’m betting everything I have or will ever own, that you’re gonna need to re-insulate, pronto. Surely, SPI has proven that this stuff works, to the guys that make it possible for the rest of us to use it, right? I’m a big fan of Alex Wilson. “To say that there is a lot of hype about insulating paints and radiant barrier coatings is an understatement. Okay, so basically what he says is that to achieve their claims, SuperTherm would have to defy the laws of physics. And he makes it clear that independent test results don’t back up manufacturer claims, either. GULP! As a trained architect with another degree in “test tubes and other junk that will kill you if you look at it twice without smiling…” I really make it a point to avoid using products that make outrageous claims that contradict science, cost outrageous amounts of money (I’m told that it’s up to $700 a gallon), are only hawked by people PAID to hawk them, products that supposedly negate everything that we were ever taught about construction (or physics) without being able to PROVE beyond a shadow of a doubt WHY in our right minds, we should actually do that…. Okay, okay… you get it. I’ve tried it. I’ve tested it (albeit in what some have deemed a rather “unscientific way”). I’ve used white paint too. Similar results, when it comes to insulating an ISBU. Neither one really works in the conditions that they were exposed to, but both do “similarly” well. Hmmmmmm…. again. Look, I WANT this to work. Honest. If it did, it’d be a huge boon to ISBU builders. Insulation is one of the HARDEST parts of getting ISBU homes built. If I could find some miracle coating that could be applied in a business card thickness, that would take the place of inches or even a foot of insulation, don’t you think I’d be doing it? I’ve been working on these boxes since 1977. TONS of them. It would revolutionize home building. You wouldn’t just use it on ISBU homes, you’d use it on all those old homes in America that can’t be insulated any other way, but by “repainting them.” You’d even apply it to cars and aircraft to take the place of insulation! Um… because it doesn’t replace the need for insulation. That’s why. Until someone can prove to me that ceramic coatings will work in every zip code in the US of A and take the place of insulation (with a set of tests recognized by the industry, tests that I can duplicate MYSELF), I won’t use the product, and if I’m working with you on YOUR home or building, I won’t let YOU, either. I have too much love for my family, and even yours (which is saying something because I don’t even KNOW most of you, yet…) to put them at risk, based on snake oil spec sheets that are bandied about by “pie in the sky” internet websites. Incidentally, myself and several other architects, engineers, and even builders have invited SPI and several other manufactures to rebut our claims on our websites, in an unedited fashion, so they can prove we’re wrong. WE want them (at least I do) to be right. We just can’t figure out how it could be possible. and the scientists that we’re consulting can’t prove it, either. My site, for example is one of the biggest “content based” blogs on ISBU construction on the Internet. I’ve gotten almost 300,000 views thru wordpress servers (where my blog “lives”) alone, this year, and about triple that in syndication. And I’m talking about a “niche topic.” Let’s face it, how many people Google “DIY ISBU Homes”? It’s been almost two years. No takers. And we’ve asked repeatedly. In fact, they no longer even respond to our email. Now take all this a step further. If I can use pre-made steel boxes to frame my home, I can put them together to make large spaces, and even cut my labor costs, if I use a good design to start with. Wait, I just did. Oops. While I’m preparing for a revolution, it has nothing to do with insulation. Except to insulate my family from it.